"Newer home, built in 2017!! Excellent location in the center of this community and near top-rated Dublin schools. Only house with ample distance between neighbors on all sides providing privacy. Water softener for entire house, water purifier in kitchen & OWNED SOLAR! Desirable Downstairs Bedroom & full bath. Formal Dining Room. Kitchen/Family Room Combo with eat-in area. Highly upgraded gourmet kitchen. Open loft area, Two secondary bedrooms & spacious & private Master Suite. The beautiful master bath features standing shower, soaking tub, dual vanities with makeup seating area and large walk-in closet with organizers. Partial views of Tassajara Hills from most of the windows! Backyard is low maintenance and very spacious!! 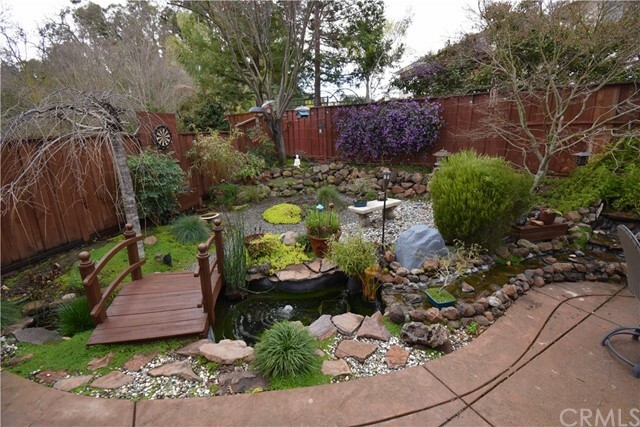 Lovely landscaping with patio, synthetic grass, fruit trees and built-in concrete fire pit. Two-car garage with an electric car charger. Partial views of Tassajara hills from most of the windows!" "MOTIVATED SELLER! This rarely available floor plan features a separate one bedroom Casita for extended family, au pair or guests. Better than new with fresh paint inside and out, refinished hardwood floors and new carpet. A generous floor plan with 2663 sq ft 3 bedrooms 2 baths, & office PLUS the Casita/apartment , kitchenette, bedroom and full bathroom accessed from inside or out. Work from home in a terrific office on the top floor with plenty of light and spectacular views. The spacious open kitchen is a chef s dream with stainless steel appliances, granite, & a large island for easy entertaining . Enjoy your inviting private backyard with a patio and low maintenance landscaping, HOA fee includes all front yard maintenance. Walk to the community park and schools. Close freeway access, outlet shopping and BART & ACE Train. OPEN SAT 12-4 SUN 12:30-3:30"
"Located in the highly desirable Tassajara Creek community of East Dublin this gorgeous 5 bedroom 3 bath home is a luxurious, peaceful retreat for relaxing and recharging. From the Zen garden and inviting patios to the spacious open floorplan it has something for everyone. A local walking trail and incredible parks, restaurants and shopping, it s all here. With 4 bedrooms upstairs and a bedroom / bath suite downstairs it s designed to meet every lifestyle and need. Fully owned solar minimizes utility costs. Alarm. Top rated schools and only a few minutes from BART." "*Better than New Shows like a model home! A beautiful, quiet & established Jordan Ranch n'hood w/all the conveniences close by. Walk to n'hood park & schools *1 Bdrm & 1 Bath downstairs *Loft can be 5th bdrm. *Top rated Dublin High (10) *Loaded w/Upgrades: Reverse Osmosis, Water Softener, Dual Zone Heating & A/C. Plantation Shutters. Security Alarm & Ring Sys. $10K Garage Upgrades, $30K Backyard Upgrades & More! Built-in bookcase & media center. Beautiful Hardwood Floors. Nice large Great Room ideal for family gatherings. Upgraded Kitchen w/granite slab counters, subway tile backsplash, center island w/pendant lights, all stainless steel Thermador appliances & U-line wine fridge. Large master suite w/beautiful views. Modern design backyard-low maint & great for entertaining. Designer wrap around fence & retaining wall, new sod, patio cover, decking & water fountain feature. Finished 2 Car Garage w/epoxy floors, built-in cabinets, overhead storage & tankless water heater." "Dublin Estates. Gorgeous property, Best location, amazing setting! Beauty awaits as one drives onto the lovely street of Pearl Pl. Fabulous floor plan & stylish upgrades,large lot and open living space with 4 bedrooms, 2.5 baths ,bonus den or family room, boasting ceilings. The grand foyer opens to the formal living room & a elegant dining room. Spacious granite counter top with chef like kitchen perfect for entertaining w/ many amenities & an inviting breakfast nook with views to the private rear yard. Large family room with a fireplace, The private master suite is a delightful retreat, walk-in closets & spacious master bath, extra storage in master bedroom as well. Beautiful curb appeal & architectural detailing, bamboo hardwood flooring and custom tile. 1 Fireplaces, 2 car garage. Lovely grounds, close to stagecoach park, top schools and shopping. Solar is paid in full. All new windows, ect.... This home has many amenities to see. Come and Enjoy the true meaning of home sweet home." "Very well maintained two story single family home in a great location. Lots of natural light in this home with a lovely patio area and a cozy fireplace for everyone to enjoy. This home offers 3 Bed 2.5 Bath, 2 Car Garage, Recessed Lighting, and newly painted! Quiet neighborhood but also located very close to shopping district, Bart, and i-580 freeway access - very convenient! Additional living/loft area upstairs - can be used for office or family room. Kitchen includes granite counter tops, brand new microwave/range, newer dishwasher, oven / gas stove, and Samsung refrigerator. Other appliances include a water softener (Aquazen Multi Functional Water Treatment System) + Alarm System. Washer + Dryer included. Master Bedroom has a large bathroom + walk in closet." "3811 Branding Iron Place, Dublin. www.3811BrandingIron.com Bright, charming, and flooded with light, this home delights in every way possible. A well-thought-out and impeccably designed floor plan features at least one bedroom on every floor, offering versatile possibilities for flex spaces. The main living area flows wonderfully with a living room adjoining the kitchen with a balcony in between. Begin the day enjoying your serene mornings with a cup of coffee or tea overlooking the hills across from the balcony. Have your loved ones over to entertain in the updated kitchen which features beautiful quartz countertops, custom subway tile backsplash, and stainless steel appliances. Retire to the spacious upstairs bedrooms, where the master features a luxurious bathroom and walk-in closet. Ideally located in one of the most desirable communities, minutes to dining, shops, entertainment, and freeways, there is no better place to call home!" "Bright and sunny turn key ranch style home on spacious and flat lot. Recently upgraded kitchen with breakfast bar boasts granite counters, stainless steel appliances, and beautiful cherry wood cabinets. Dining area opens up to a fully enclosed private backyard, which is both gigantic and peaceful with the sounds of little birds singing; it beckons you to bring your imagination and transform it into something amazing... get ready for BBQs, parties, and summer time fun! Enjoy cozying up next to the fireplace. Upgraded bathrooms. Generous Master suite. Excellent location- close to schools, BART, shopping, restaurants, Kaiser, golfing, etc. Convenient to both 680 and 580"
"Welcome home. This prime Dublin location offers you a wonderful open kitchen / family room floor plan. The large covered patio seamlessly takes entertaining from inside to outside, or just a quite moment for you to enjoy a cup of coffee and a new book. Family room features a gas fireplace. Interior laundry and the washer and dryer will stay in the unit. Master bedroom bathroom has a spacious walk in shower all recently updated with new tile and sliding glass door, double sinks, and large walk in closet. Updates to this condo include, Wood flooring in the entryway and stairs, tile in the patio, slate flooring in the kitchen, 1/2 bath and laundry room, gorgeous new back splash in the kitchen and more Spacious bonus space can be used as an office, hobby room or second bedroom or endless possibilities. Single car garage. Easy access in and out of your condo and to shopping, freeways, and BART." "Single story luxury condo. Kitchen with granite counter top, stainless steal appliances and tile floor. New paint, New gas range and new carpet. Recessed lights, 2 spacious bedrooms with ceiling fan and large walk in closet. Cozy gas fireplace. Laundry room in unit Elevators building. Gated community include pool with relaxing seating areas, club house, library, fitness center, theater room and conference room. Huge parking garage for guests. Close to BART, 580 & 680 freeway, parks, restaurants, movie theater, hospital, golf course and shopping centers and excellent school. must see." "Modern and renovated End-unit condo in the desirable Kildara community. The property has vaulted ceilings, central AC and heating to keep you comfortable with lots of natural light make this home fresh and airy. Attached one car garage with well built storage canbinets & assigned parking. HOA fee includes water/trash/sewer, pool & spa. Walking distant to shopping, dining and freeway access, 2 parks and elementary school."